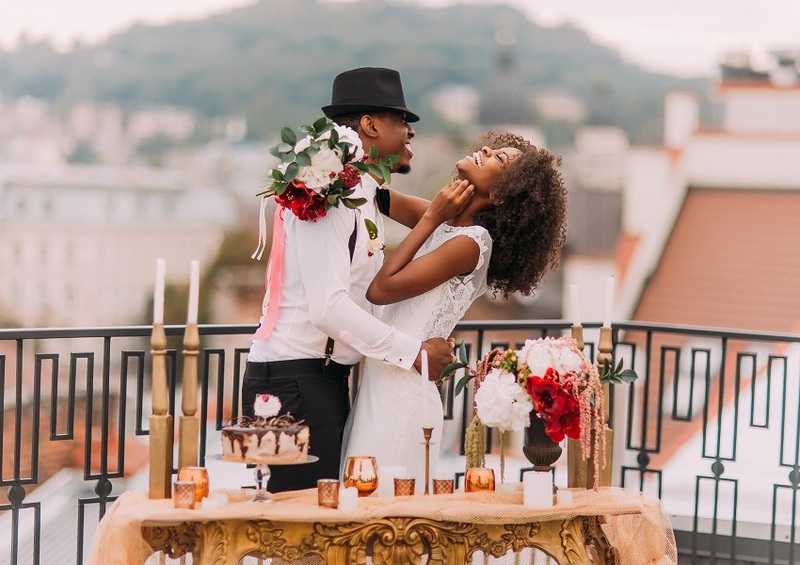 Weddings are the stuff of little girls’ dreams so when it’s time to start planning your wedding, make sure you choose the perfect decorations to wow the little girl inside of you and make your special day feel like a fairytale. There are so many things to remember like guest books, decorating the aisle, choosing table settings, and agreeing on your wedding colors. Start by making a checklist of wedding decorations so that nothing gets forgotten or left until the last minute. Decorations can take a lot of planning and are time-consuming if you decide on any DIY decorations. 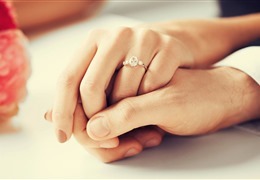 Don’t take on the stress of it all by yourself; enlist your family and friends to help out and give you wedding ideas. Choosing wedding decorations should be one of the fun parts of planning a wedding and showcase your personal taste. Start by researching wedding decorations and deciding on colors or a theme, then get to work picking out your decorations! Here are 20 decoration ideas for the wedding of your dreams to get you started. Twinkle lights are the perfect decoration for any wedding venue no matter what your theme or wedding colors might be. They make the perfect backdrop or overhead decoration for an outside wedding ceremony and look stunning as décor for a wedding reception. For a dreamy fairytale wedding look, decorate with white twinkle lights everywhere for a low-cost but spectacular decoration looks. Every wedding reception needs a romantic cake topper for a stunning finishing touch. 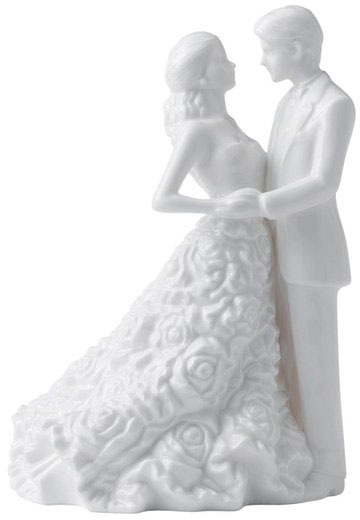 There are so many options for cake toppers from personalized Mr. and Mrs. Signs to romantic couple figurines. If you’re looking for the perfect cake topper, we recommend this ‘Modern Love’ porcelain figure from Monique Lhuillier for an elegant and timeless choice. Balloons make a great decoration choice because they are low-cost but fun and offer a wide array of options. Decorate with white balloons for an all-white wedding theme or fill your reception hall with balloons to match your wedding colors. You can also decorate the head table or present table with Mr. and Mrs. Balloons or use large balloons with romantic words as a fun photo backdrop. The balloon options are endless. Getting married under an elaborate archway provides great photo opportunities and adds beautiful décor to the wedding ceremony. Choose a high archway and decorate it with flowers or greenery for a natural look, or create a romantic feel by using lots of flowy white tulle. When you see your wedding photos under your stunning archway you’ll be glad you took the time to add this decoration. Florals are a major wedding trend for 2018 and they can be incorporated into many decoration options. Use flower centerpieces, line the aisle with plants or flower petals, or decorate the archway you’ll be married underneath with stunning flowers. Decorating with florals provides a simple decoration with tons of color options to match your taste. There are so many options for the wedding ceremony and reception décor, but you can’t go wrong with simple but stunning Chinese paper lanterns. For a traditional wedding look, try these White Round Paper Lanterns, or choose paper lanterns to match your wedding colors. 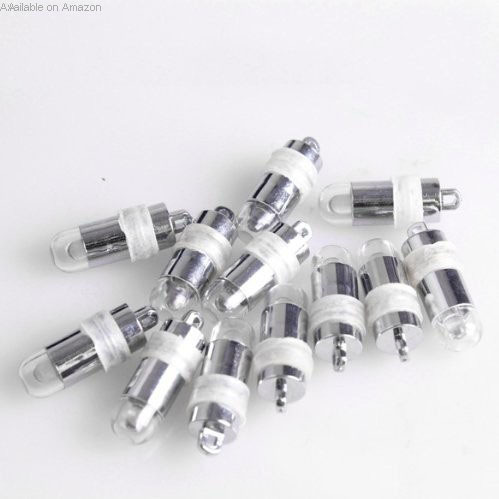 Either way, they make for an affordable but fun decoration. Decoration options for creating a stunning aisle are endless. Try flower petals, plants, floating tea lights, or big ribbons and tulle to decorate the aisle ends. Any of these decorations will highlight the aisle and bring all of the attention to you as you make your big entrance. Wedding favors are an absolute must for your decoration checklist. Favors can include bubbles or confetti for when the newlyweds leave the reception, Advice Coasters for guests to write their marriage advice to you at their dinner tables, and small but cute gifts like “Mint to Be” boxes of mints. Wedding favors add cute décor to the reception and provide your guests with a small token of thanks for attending your special day. The Pantone Color of the Year for 2018 is Greenery. Green is in and it matches perfectly with floral trends. Decorate your wedding ceremony and reception hall with green plants, succulents, and lovely flowers to match. These natural decorations provide a simple but elegant look to your dream day. DIY chalkboard signs are a major wedding trend for use at the wedding ceremony or reception. Simply use a framed chalkboard and choose any message you like! Some of our favorite ideas are a simple “Welcome to Our Wedding,” “Please Sign our Guest Book,” and “Choose a Seat Not a Side.” No matter what you write, this inexpensive decoration idea adds personalized flair and fun to your wedding. A wedding reception isn’t complete with a guest book to record who attended your special day. There are so many guest book ideas to choose from – a traditional guest book, photo book, a DIY scrapbook, or building your own guest book online. But if you’re looking for something a little more unique, try this ‘Mr. and Mrs. – Wedding Wishes in a Bottle’ Guest Book. 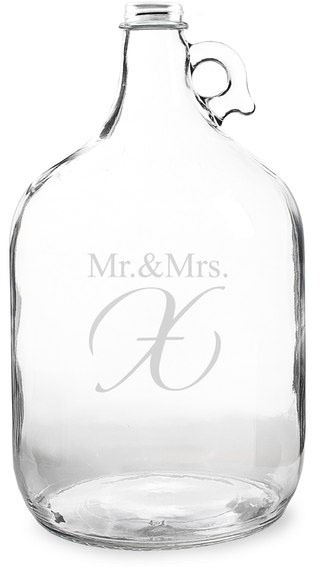 It’s a beautiful handblown glass growler for a contemporary alternative to the traditional wedding guest book. Leave it out for guests to fill with personalized messages and pick a special date to open and read them. For the minimalistic or traditional bride, all white wedding decorations create a dreamy feel for your perfect day. Decorate with white ribbon and tulle, twinkle lights, baby’s breath and natural greenery for centerpieces, and any other white decorations you love! Don’t just assume all white is boring; we promise it’s a stunning bridal look for every bride and groom. Metallics are trending in the wedding market, and we especially love metallic centerpieces. This is an easy DIY project if you are trying to save money by creating decorations that look anything but cheap. Collect mason jars or old wine bottles and paint them with the metallic color of your choice, then pair your centerpieces with bright and colorful flowers for spectacular centerpieces at your reception. To create the perfect dreamy wedding look, decorate the aisle with floating tea lights. This is another easy DIY project you can create by collecting thin glass vases and filling them halfway with water then topping with tea lights to get the floating look. Make your wedding ceremony feel romantic with this beautiful aisle decoration. For the ultimate fairytale wedding décor, add a fairytale swing. This is the perfect decoration for an outdoor wedding or reception and your guests will love it. It also makes for a beautiful spot to take wedding photos. A romantic wooden swing is also the perfect decoration for a rustic wedding or summer night wedding. For a simple but stunning wedding idea, decorate folding chairs with romantic tulle and lace. Turn boring old chairs into dreamy décor with an inexpensive and easy touch. These chairs will look stunning at any wedding ceremony whether outside or inside, and they’re the perfect addition to an all-white wedding. Personalized table numbers are a fun spin on a traditional decoration. 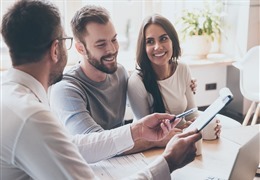 Rather than numbering tables in order, choose meaningful numbers like when you went on your first date, shared your first kiss, the date of a special vacation you took together, etc. 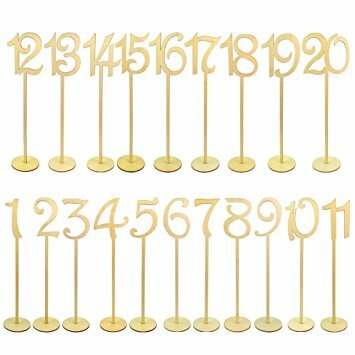 Your guests will enjoy a glimpse into your personal relationship and you can decorate the table numbers however you desire. A Mr. and Mrs. Decoration is a must for the head table where the bride and groom will be seated during the reception. This can be in the form of a large balloon, banner, or signs to go on the back of your chairs. Any form you choose will be a cute decoration to signify the seats of the newlywed couple on their special day. A sparkler send-off at the end of the wedding reception is a fun tradition and provides great footage for the end of a wedding video. Pass out sparklers to your guests as wedding favors and when it’s time for the newlyweds to leave the reception, line up your guests, light the sparklers, and have the bride and groom run through the sparklers as they hold hands and start their new lives together. A backdrop is a fun wedding decoration for your guests to take pictures in front of at the reception. Create a backdrop of twinkle lights, a Mr. and Mrs. Sign, or any other decorations you like. Give your guests fun props to play with their pictures and provide an old-fashioned Polaroid for them to leave you pictures for a scrapbook. Your guests will love it and look back at those pictures later will bring you lots of laughs. Is it time to start planning your dream wedding? Planning a wedding is an exciting time and as you start to nail down some of the details, it’s time to start picking out wedding decorations. There are so many decorations to remember from the guest book to the aisle to the reception table settings. Start a checklist so you don’t get overwhelmed and work through it one item at a time. The first part of deciding on decorations is to pick a theme or color palette for your wedding. Once that’s decided, you can start picking out decorations to match and make all of your wedding dreams come true. Our list of 20 decoration ideas for the wedding of your dreams should have you off to a great start!